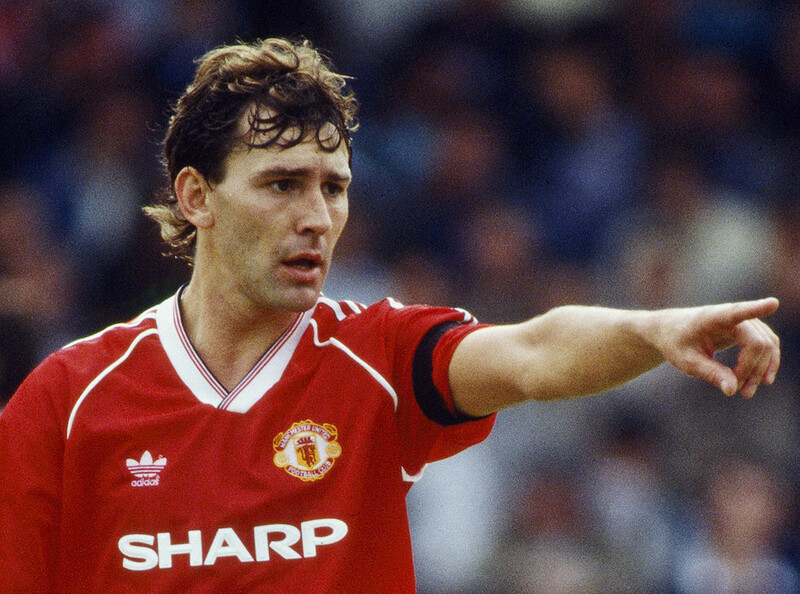 O’Sullivan Events are bringing Bryan Robson OBE to The Forum, Northallerton on 10th May 2019. Bryan AKA Captain Marvel is one of the finest England players to have pulled on the three lions shirt and is well remembered for his playing days at West Brom, Manchester United and of course Middlesbrough. On the afternoon you can listen to Noel & Tony talk about their time at the club and hear their funny & informative stories along with a hot roast sandwich and chips! You can also meet the guys personally and have your photo taken with them by our professional photographer who will the print this wonderful keepsake ready for you to take home. We also have the amazing opportunity not for you just to meet them but also be on the same table as them for lunch!! Have your lunch and a drink whilst talking with these Leeds Legends. Limited Tickets Available! 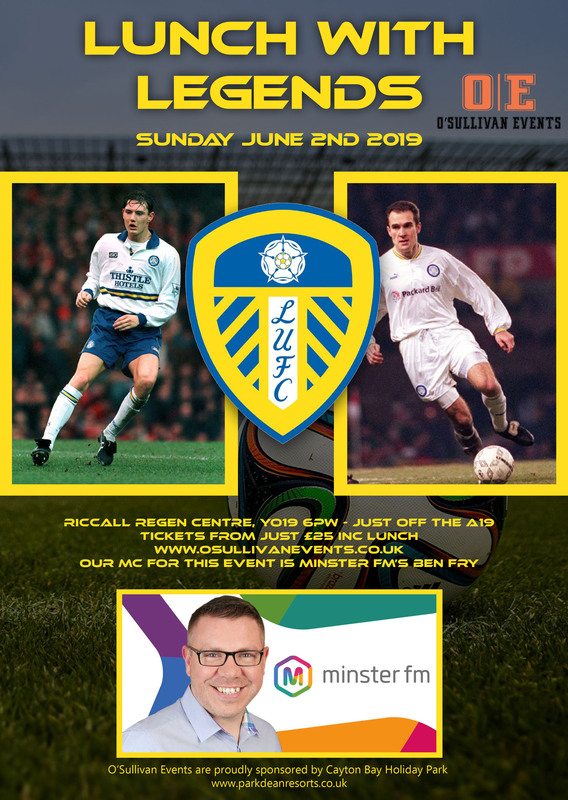 With Minster FM Breakfast Show Host Ben Fry working as our Compere you will be in safe hands and you can also get the chance to ask the guys a question of your own. Ben Worked at Elland Road for 7 years so is the perfect host for this prestigious event. 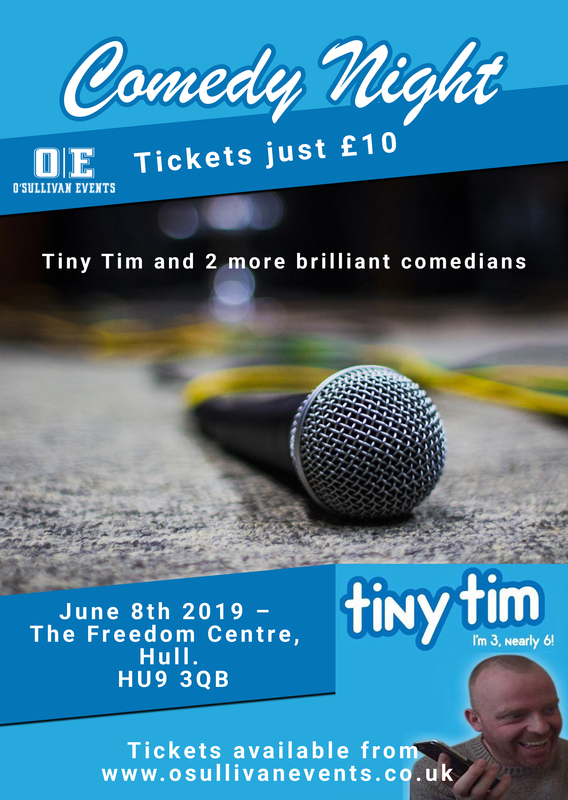 We are very proud to be bringing Internet sensation Tiny Tim and 2 of his comedy friends to Hull for a night of laugh out loud comedy. Tickets are priced at just £10 and that’s for the full evening of entertainment! 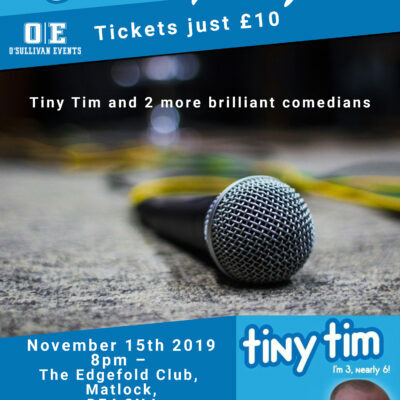 Following on from recent comedy nights in Yorkshire with Tim, we can vouch for just how amazingly funny he is & his friends are equally as good! The Freedom Centre is a brilliant venue and with a fully stocked bar this will be a night not to be missed! Three brilliant comedy acts including the amazing Tiny Tim head to Doncaster’s Little Theatre for a night of fun and laughter. 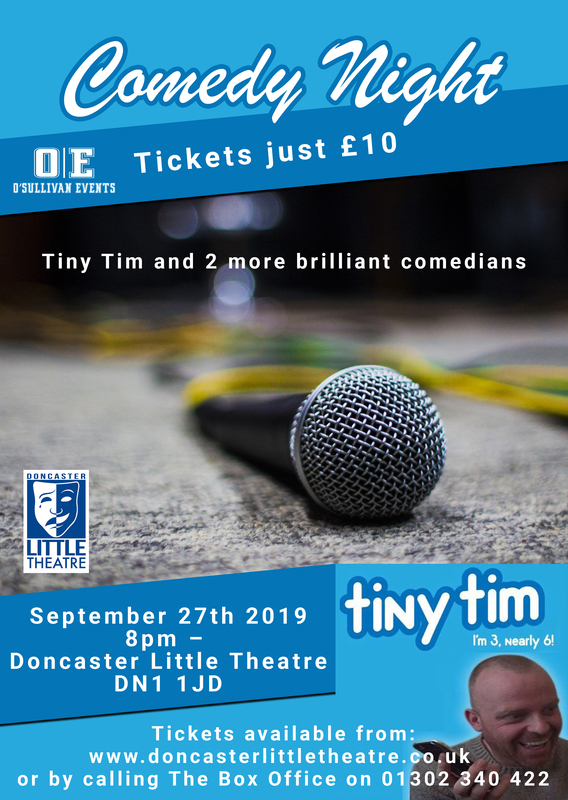 We are very proud to be bringing Internet sensation Tiny Tim and 2 of his comedy friends to Doncasterfor a night of laugh out loud comedy. Click the Get Tickets Button to buy your tickets direct from the Venue. Your receipt acts as your ticket for entry to the event and without it entry will be refused.